LinkedIn has been a staple form of communication between businesspeople for years now – in many ways, it is the Facebook of business. With over 150 million members currently using the service, it is very tempting (and with good reason) for others to begin utilizing this seemingly limitless form of communication in order to gain leads, make valuable connections and expand one’s persona within the realm that they do business. If you have been wanting to expand your or your company’s prospects with other business oriented individuals, then LinkedIn can offer you a variety of ways to do just that. If you already have a LinkedIn profile, then you most likely have individuals with which you are already “networked” – these people are known as your first-degree connections. By maintaining respectable, consistent communication with those on your list, you can demonstrate value and be known as a source of information. Second-degree connections are just as valuable and can become first-degree connections with the right amount of work. Second degree connections refer to people who are first-degree connections with your current first-degree connections. You can use your personal relationships with your first-degree connections to break the ice with their first-degree connections, making it more likely that you will expand your clout on the social networking giant. LinkedIn’s news feed will show you any and all updates that are pinging lists of information from your connections, making it valuable when it comes to knowing what is currently on their minds. This information can also be filtered to show only the most recent connections you have made; what better way is there to keep up with new acquaintances than by monitoring their status updates? This filtering feature allows you to be proactively involved with your new connections, which can demonstrate a certain level of competence and engagement on your part. LinkedIn’s intuitive Advanced Search allows anyone to find individuals who share common interests and career objectives. You can search by name, school or company, as well as by industry, title, company size and who the individual is interested in meeting (employees, hiring managers, reference checkers, etc.). This utility can be just as good as any generic lead generator, as you can custom-tailor the characteristics you wish to find in a particular person in order to generate the most likely positive results. 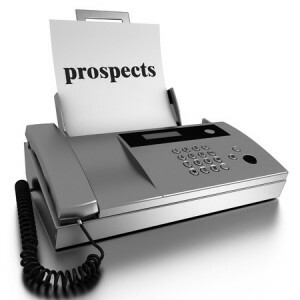 Keep in mind, though, that some LinkedIn prospects will need to be introduced to you prior to initiating contact (for example, if they have InMail restricted to first-degree connections). By finding companies that are similar to your endeavours or operation, you can meet individuals who may be able to help you in a variety of ways. By pinging lists of individuals associated with a particular company, you may be able to find individuals who have a direct say in how that company is operated. In many cases, the decision-maker is networked via LinkedIn; if you can find him or her, you may be able to influence or persuade that individual to consider any product or service you are offering that can help their enterprise.